A Chance At Love by TK Chapin is a contemporary Christian romance. The theme of finding the love of God is also explored within the novel. Kyle has felt dissatisfied with his life. Something is missing. “There’s got to be more to life than this.” He is looking for something or someone to fulfil him but says “I don’t like to believe in things I can’t see.” Kyle is like a lot of people. However, people believe in things they can’t see all the time, such as the wind. We cannot see it, but we can see its effects in the trees blowing and we can feel it. God is like the wind. We cannot see Him but we can see how He effects people and we can feel His power. Kyle has not been taken to church by his parents but he does have a grandmother who is “crazy for Jesus.” Following an accident Kyle has to go and help her out. She talks to Him about God and about the heart of God. The novel deals with the theme of prejudice. Prejudice can strike anywhere. It can even be found in the hearts of church going people. TK Chapin demonstrates that church is filled with the same flawed people as those who are outside its walls. Going to church does not make you a good Christian, it is knowing God and having a relationship with Him that transforms people. 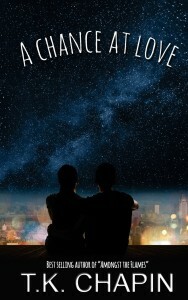 A Chance At Love is written in the first person from the point of view of Kyle. The reader gets to know him intimately. We know his thoughts, his feelings and his fears. We watch him grow and develop throughout the novel. We see the world through his eyes. I always enjoy TK Chapin’s stories. They have excellent plots that honour God. Throughout there are Godly truths and scriptures showing how to live a life that pleases God. They are never ‘preachy’, just full of good advice. His stories show ‘real’ people doing life. I can highly recommend all his novels. 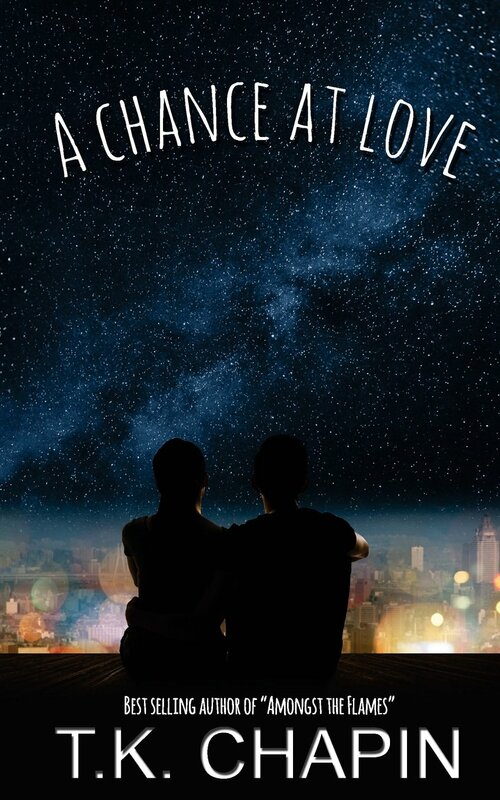 Download a copy of A Chance At Love Today.